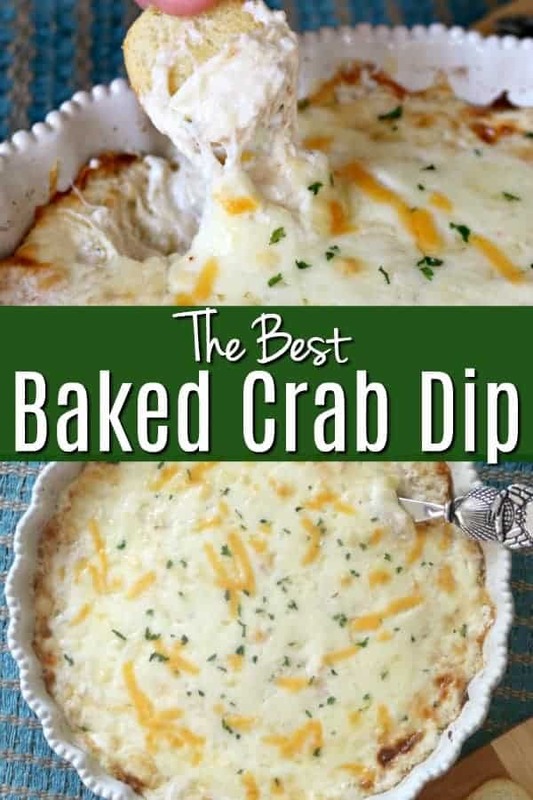 The BEST baked crab dip – this crowd-pleaser is quick and easy to make and the perfect addition to your next summer party. 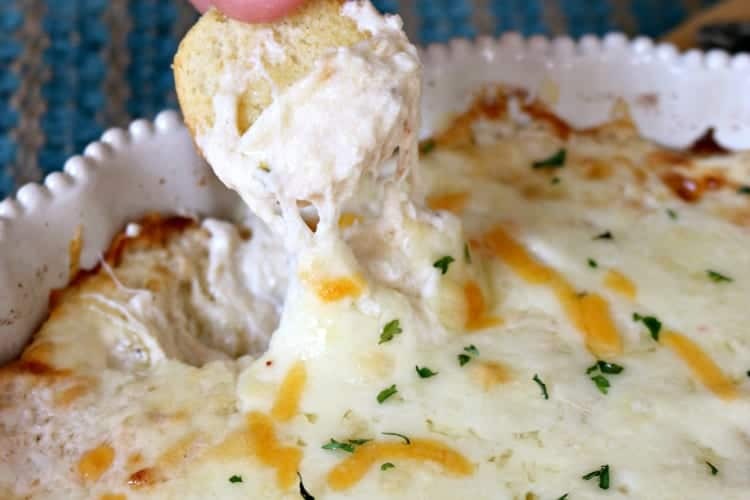 Serve with some toasted baguettes or your favorite chip; you can’t go wrong when digging into this mouth-watering crab dip! 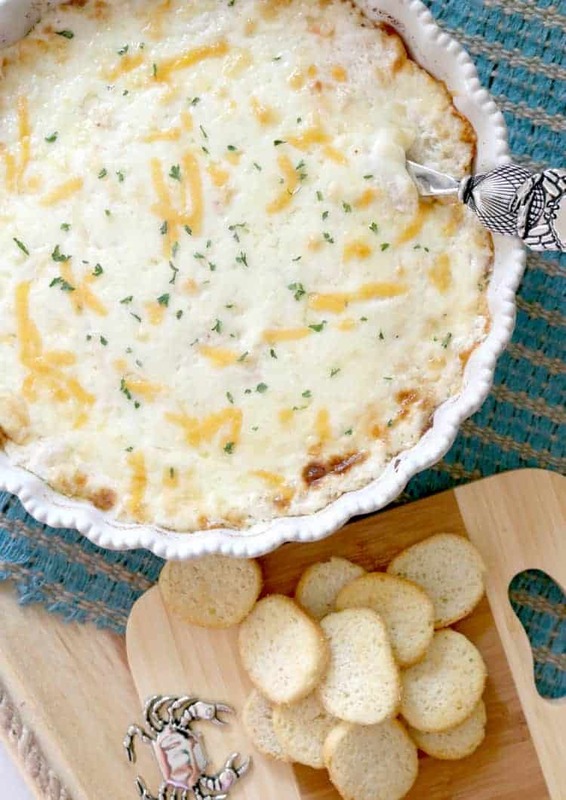 This crab dip has become a huge hit with family and friends. I love it because it comes together in under 10 minutes and celebrates the delicious taste of crab – one of my favorites! I have always loved crab. Crab legs, crab rangoon, crab salad, cold crab dip, hot crab dip – you get the idea, if it has crab in it, I love it. However, having just returned from an Alaska cruise aboard the Island Princess, I found a whole new love for crab. In Alaska, you are getting the most fresh and delicious crab ever. We went on this amazing whale watching and crab fest excursion. After the most lovely day seeing whales and other wildlife all around us, we ended with a outside picnic with the best crab legs I have ever tasted, did I mention it was all you could eat!! Want to hear more about my excursion? 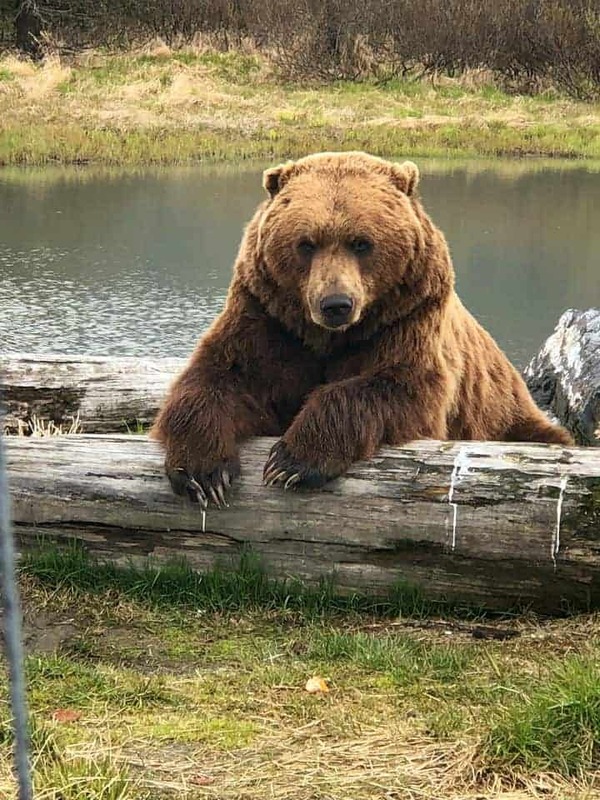 Check out this article that I wrote highlighting all of our Alaska excursions and if you are heading on an Alaskan Cruise, be sure to see my Alaska Cruise Packing List. Also, you won’t want to miss our Strawberry Shortcake Baked Alaska, also inspired by our trip! This excursion was not only delicious, but it inspired me to create a recipe inspired by this unforgettable meal. 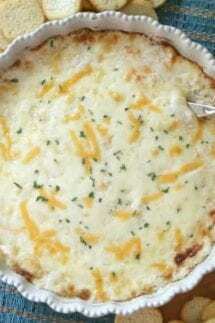 I am always looking for an easy appetizer, so I took my crab obsession and made this Baked Crab Dip, which is not only easy, but it is amazing! Oh….I am also totally obsessed with Alaska salmon from our trip! The salmon there is so amazing! I made this deliciously light and healthy Easy Grilled Salmon Kale Salad with Honey Lemon Vinaigrette. It is a MUST TRY! You can bake this crab dip in a bread bowl for a fun twist or use a pie plate or small casserole dish. I like to mix it up depending on the crowd or occasion. And the horseradish sauce…yum! It adds a just the right kick (add as much or as little as your sinuses can handle). It’s truly the BEST crab dip I’ve ever eaten! 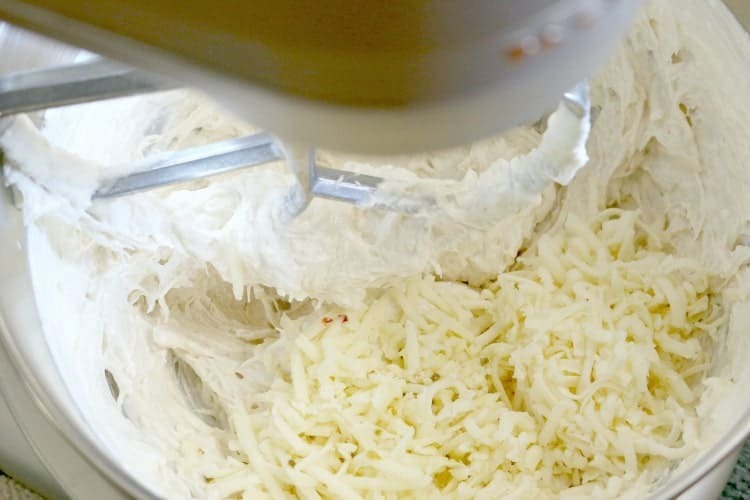 The secret to a good crab dip is the base. This is a crab dip with a cream cheese base. It makes a rich and creamy dip that when paired with the lump crab meat, creates an unforgettable dip. 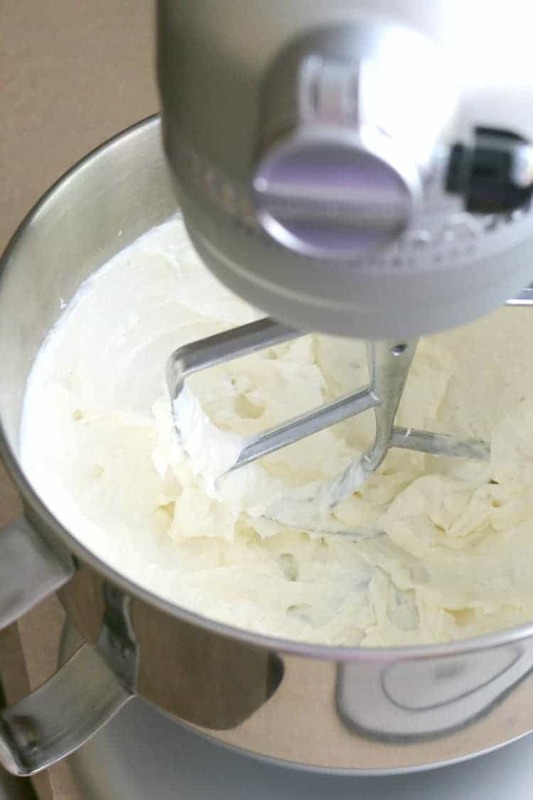 You’re going to start by whipping up some cream cheese, mayonnaise and sour cream in a large bowl…. Next, the crab meat. 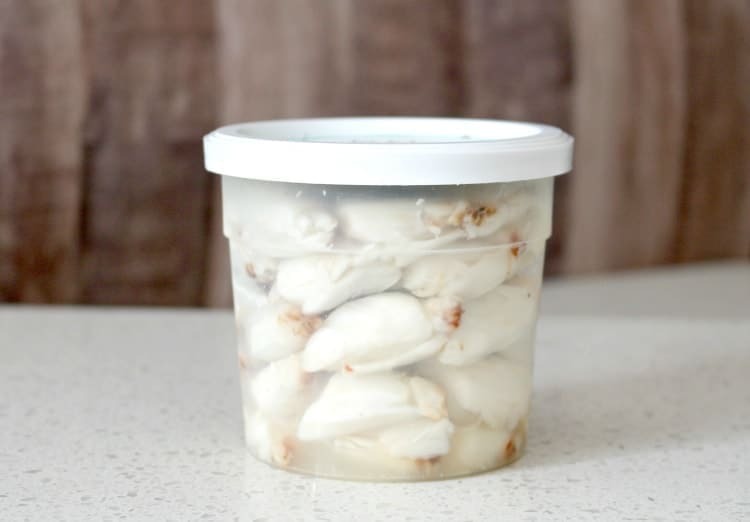 You can use fresh crab meat from the seafood department of your local grocer, frozen, canned or packaged imitation crab meat…it all taste great so use whatever is convenient or available to you. 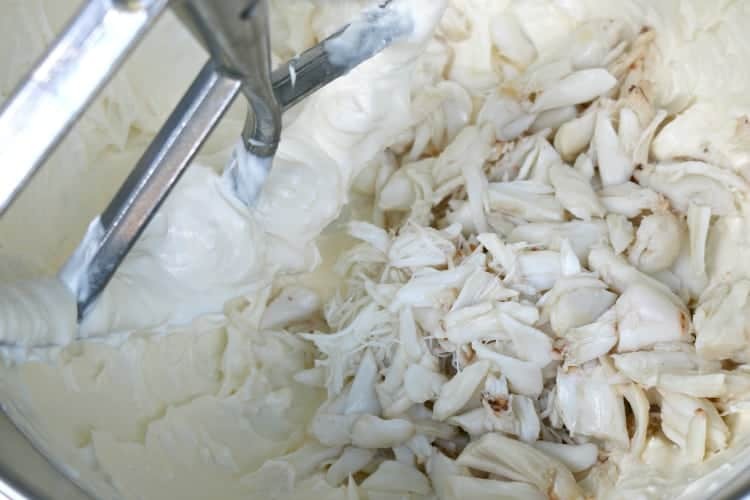 Drain the crab meat (if not using fresh) and add it to the cream cheese mixture. Mix all the ingredients together until it’s combined. At this point, I like to grab a cracker and give it a taste to see if any flavor adjustments are needed. And bake for 20-25 minutes until the top with bubbly and golden brown. AAAA-MAZING! 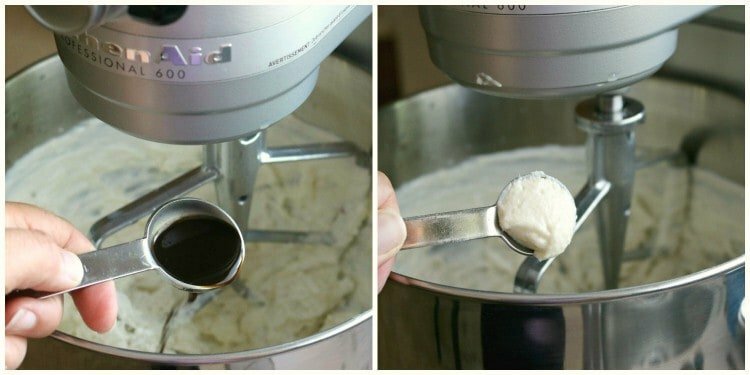 Make sure your cream cheese is at room temperature before making the dip. 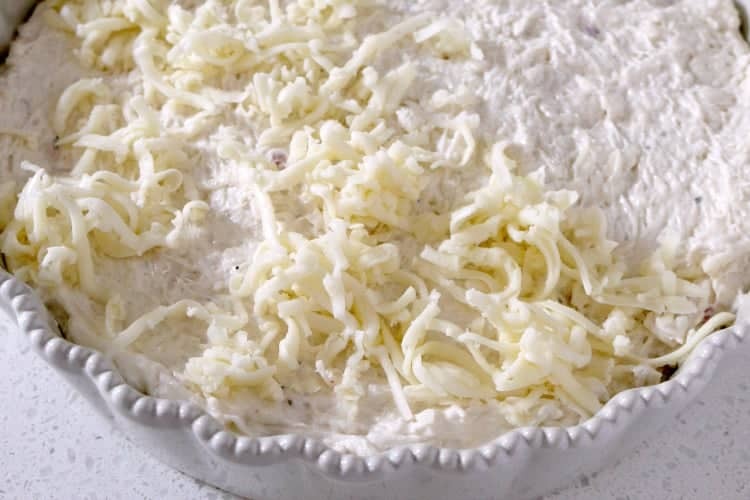 To prevent the dip from being lumpy, divide the cream cheese into smaller sections on a plate to ensure the it is as soft as possible. 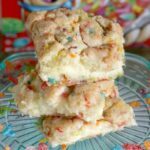 This recipe will fit nicely in a 9-inch pie plate or similar sized casserole dish. I’ve even split it up between two smaller pieces of bakeware; it’s not a bad idea because it cuts down on the waiting line of your guests. Because trust me, they will be lining up for seconds and thirds of this crab dip! You can make this crab dip ahead of time and keep it covered in the fridge, unbaked, until you’re ready to bake and serve. Let it sit on the counter for 15 minutes or so before baking to help knock some of the cold out. 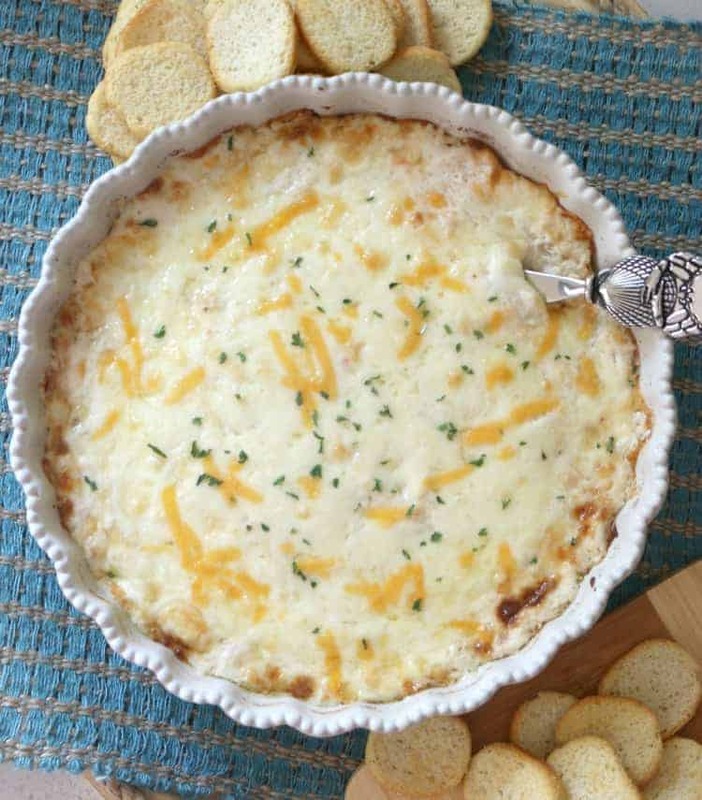 Serve this addicting crab dip with toasted baguettes, torn bread pieces or your favorite cracker, chips or in a bread bowl. Any way you serve it, this dip will be devoured by anyone who tries it! If using a bread bowl, go for a sourdough loaf. They hold their shape and make the perfect serving vessel for the dip. You should be able to find the bread bowls at your grocery store bakery or even by the salad bar. 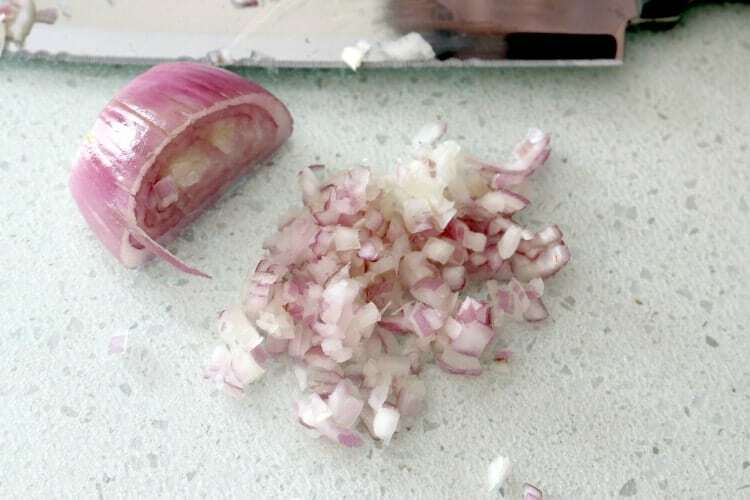 To prep the bowl, cut off the top and scoop out the inside bread. 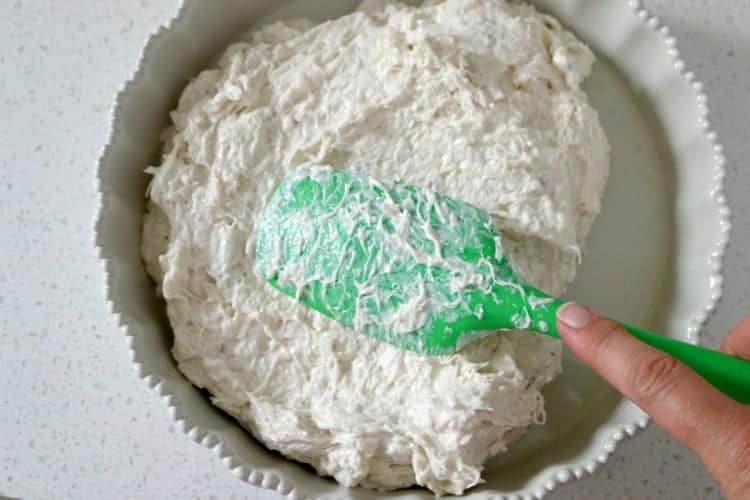 Just be careful not to get too close to the outer crust of the bowl. Remember to reserve the bread pieces you remove and serve alongside of the bowl for dipping. 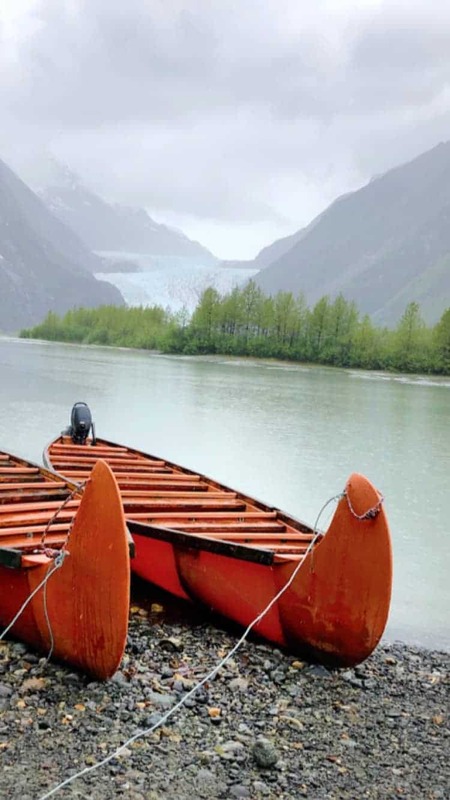 Have you ever dreamed of going to Alaska? It is by far one of my favorite trips ever! 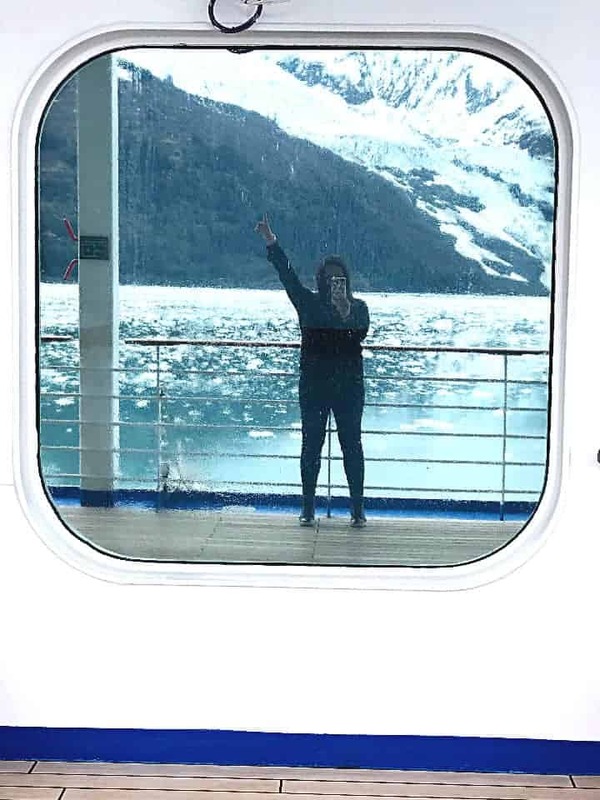 Check out some of my posts about Alaska and stop by Princess Cruises to see all of the amazing trips that they have to offer! This Bake Crab Dip is a real crowd-pleaser. 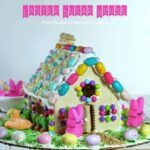 Quick and easy to make and the perfect addition to your next summer party. Serve with some toasted baguettes or your favorite chip; you can’t go wrong when digging into this mouth-watering crab dip. Preheat over to 425 degrees F. Prep a 9-inch baking pan with light oil or coat with nonstick spray. 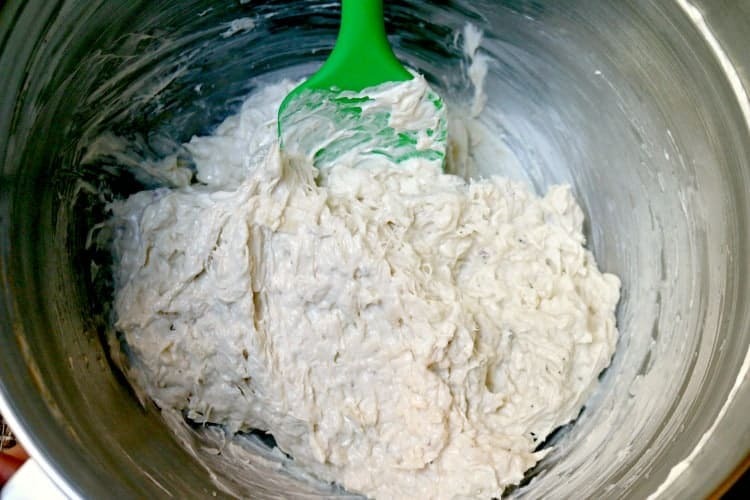 In a large bowl, combine cream cheese, mayonnaise and sour cream. Stir in crab meat, 1/2 cup fontina cheese, pepper jack cheese, shallots, horseradish sauce and Worcestershire; season with salt and pepper, to taste. Sprinkle with remaining 1/2 cup fontina cheese. Bake in preheated oven for 20-25 minutes, until bubbly and golden. Thanks, Jenn! I’m entertaining this weekend. I’ll be adding this to the menu! 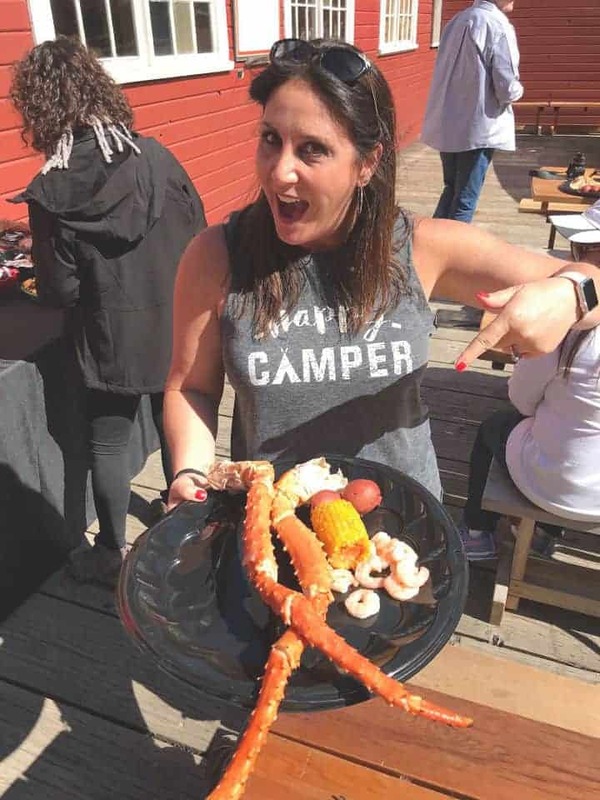 So jealous of your crab feast, it looked amazing! 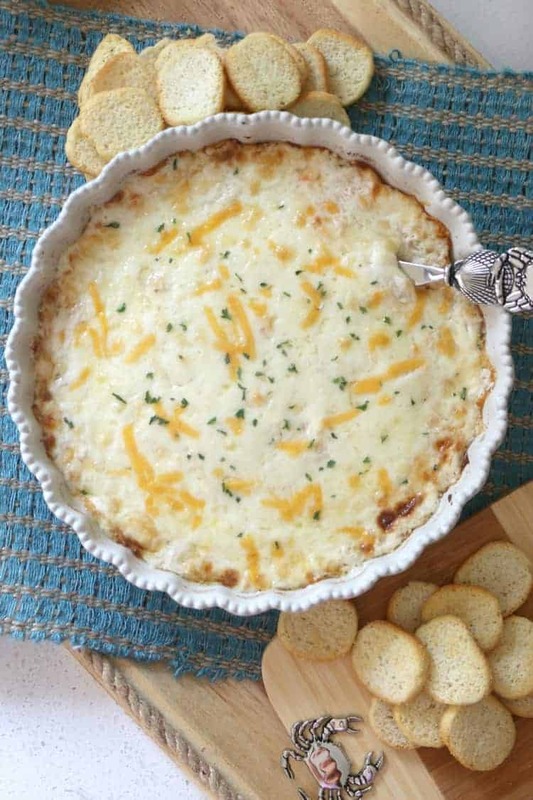 This crab dip looks absolutely delicious! So yummy! I could totally eat this whole thing by myself. Me too!! Annnnnnd I may have.